Broken Arrow is a heated cabin. It is located near the lake, and has a wonderful view overlooking the lake out the back door. It has a bathroom with two showers, two toilets, and two sinks. 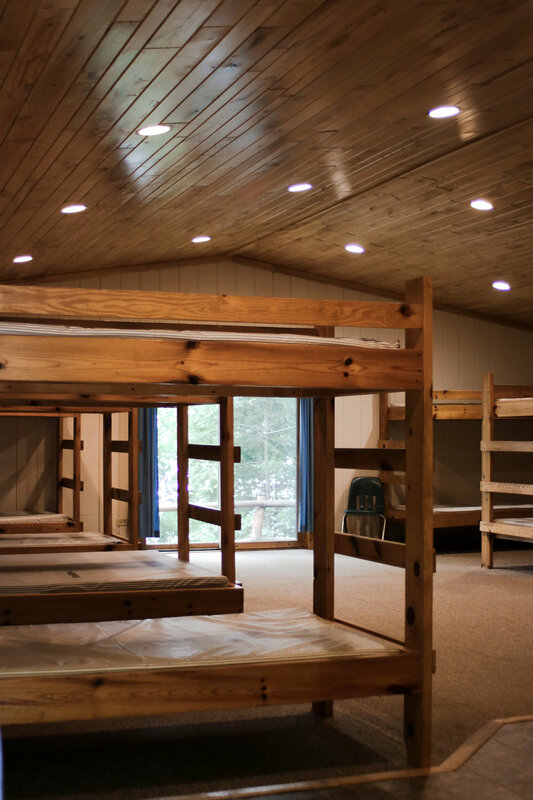 The beds are wooden bunks with foam mattresses. Bedding, pillows, and towels are not provided. Broken Arrow has a total of 14 beds.